You look out over your plain, overgrown yard and feel a sinking feeling in your stomach. You haven’t even begun the hard work of transforming it into a garden fit for a magazine, and yet you feel like you need to sit down and take a breather. You’re overwhelmed! How will you ever get anything done if you don’t even know how to get started? Fortunately, there’s one easy way to tackle an overwhelming landscaping project: break it up into stages. Right now you might be thinking, “Well, of course! That makes sense!” But there’s something else you should know about landscaping projects: it’s easier to tackle unique locations from start to finish than it is to try to complete one task at a time. For example, let’s say you need to remove sod in multiple areas of your yard to make way for your new garden. You might think removing all of the sod in one go makes sense, but in reality you’ll wear yourself out before you can move on to the next steps. And if your strength doesn’t give out, your budget might by the time you move on to steps like buying plants or bags of mulch. So instead of trying to strike an entire task off your to-do list, start by striking off a single location. To start, you should spend some time making a master plan so that the final landscape looks cohesive and beautiful. Draw it out on paper. Make note of areas that are different, based on natural borders, the amount of sun or shade they get, low spots that collect standing water after heavy rain, natural pathways, etc. Also note any areas that are a priority, such as those where you want to build up some privacy barriers or natural shade, or where significant changes need to be made, like the installation of concrete for a patio or pond. 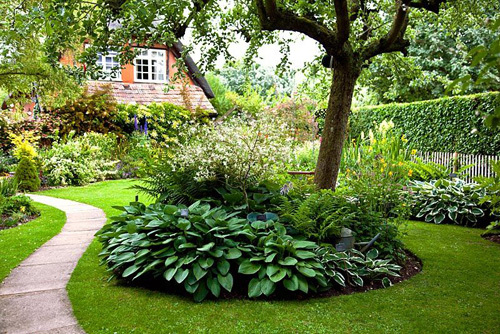 Divide your yard into distinct sections based on priority, characteristics and even budget. Decide which place to tackle first, and then start planning. Write down a rough list of what you need to do and what you need to buy. Are you guilty of “planning to perfection”? If so, you tend to plan out every little detail and feel like you can’t start working on the project until everything is in place: until all materials are purchased or until you know exactly what you are doing. Beware of falling into this trap! Trying to put together the perfect plan takes a long time, even for professionals. Try to understand that you will only accomplish your landscaping project by getting outside, shovel in hand, and getting to work. In addition, avoid getting your heart set on specific plants before you actually browse nurseries, both online and locally. While you may have found delightful ideas on Google, the availability of some plants is often limited. Instead of writing down specific plant names, write down characteristics like height, color and texture, and then shop at your local nursery for plants that fit the bill. By tackling just a small location at a time and doing a healthy but moderate amount of planning, you can tackle virtually any landscaping project. Happy planting! 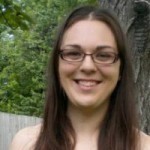 Cathy Habas is a professional writer based in Kentucky. She specializes in writing about home improvement and gardening, which are her main hobbies. In addition to writing, she also offers proofreading, editing and Spanish to English translation services. This entry was posted in Expert advice on July 31, 2017 by gapadmin. Whether you have pesky neighbours, wandering kids or pets, or would just like to make your garden space a little more private, a privacy hedge can be a good option. Once established, the hedge can serve several purposes — privacy, windbreak, and sound barrier to name a few — and can also add value to your property. 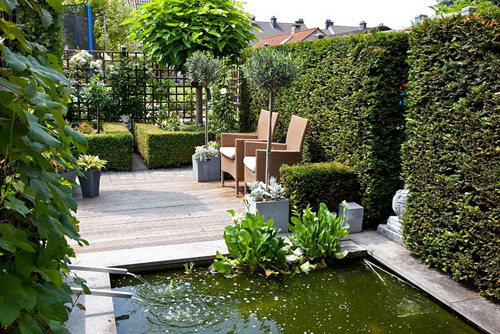 While privacy hedges are generally pretty easy to grow, there are a few things you should know before planting and this guide will help ensure that your new privacy hedge provides optimal beauty and protection for years to come. With a variety of benefits offered by the different trees and shrubs, it is important to start planning for a privacy hedge by determining if privacy is the only thing you hope to get out of your new garden addition. Perhaps you live in an area that receives heavy snowfall — trees like evergreens do well as a living snow fence, while also providing year-round screening and noise reduction. On the other hand, deciduous trees offer a variety of shapes, sizes, textures and colours while also shedding their leaves in winter to let in the much-needed winter light. Although they do not provide year-round cover, they do look beautiful as they morph with the changing seasons. You may want to grab a ladder in order to properly visualize the height that is necessary to block out unappealing views or neighbour’s windows. By now you will have decided upon the year-round protection of an evergreen or the beauty aspects of a deciduous shrub — all of which have different heights. Whether you are attempting to block out a specific unattractive view or curious neighbour, or even want to incorporate a tough privacy hedge that will provide protection for you and your family, you will have to decide on how wide your hedge should be. If you have adequate space, a few close rows could be planted or, if space is minimal, just a single row of specific species could suffice. Evergreen trees like American Arborvitae can grow up to 15’ wide while smaller shrubs only reach widths of 4-6’. Once you have decided how much space you have to work with and you have established the number of rows you will be planting, you can begin to consider appropriate spacing between the seedlings. In order to prevent root crowding, it is a good idea to plant at least 12-24” apart. For larger trees like spruces and pines, it is recommended to have at least 10 feet between trees, while arrow-growing American Arborvitae only requires three feet between trees. Shrubs generally only require a few feet between plants. Digging a straight trench works best when planting bare root shrubs and digging individual holes works well for plants that have been growing in a container. Compost and fertilizer should be added to ensure optimal growth. Also, new plantings should receive regular water and can even be mulched to retain moisture. After about one or two seasons after planting, your plants should be established enough to begin training. Trees can just grow naturally and will only require periodic pruning to maintain healthy growth. Training the shrubs involves trimming the growth a few times a year, each time removing about half of the new shoots. 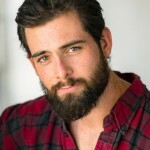 Additionally, you can maintain an ideal shape by trimming the top to be more narrow than the wider base. Establishing a privacy hedge can certainly provide a sense of seclusion to your home or backyard but can also offer safety and aesthetic benefits. From dense evergreen trees that can serve as a windbreak, snow fence, or noise barrier to deciduous shrubs and trees that evolve with the seasons and provide different colours and flowers, a privacy hedge could be a great way to add value to your property — while also providing protection and beauty to your backyard oasis. This entry was posted in Expert advice on July 27, 2017 by gapadmin. 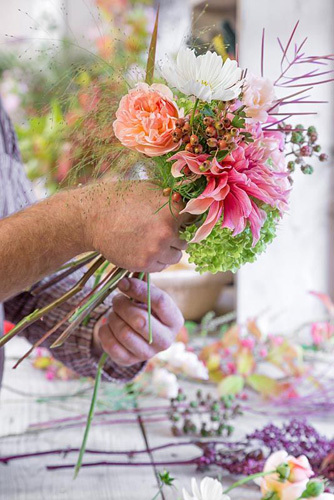 A step by step guide for making a vibrant bouquet. This entry was posted in Garden craft, Style notebook on July 24, 2017 by gapadmin.